Absolutely a gorgeous piece of secluded serenity one mile from city conveniences! 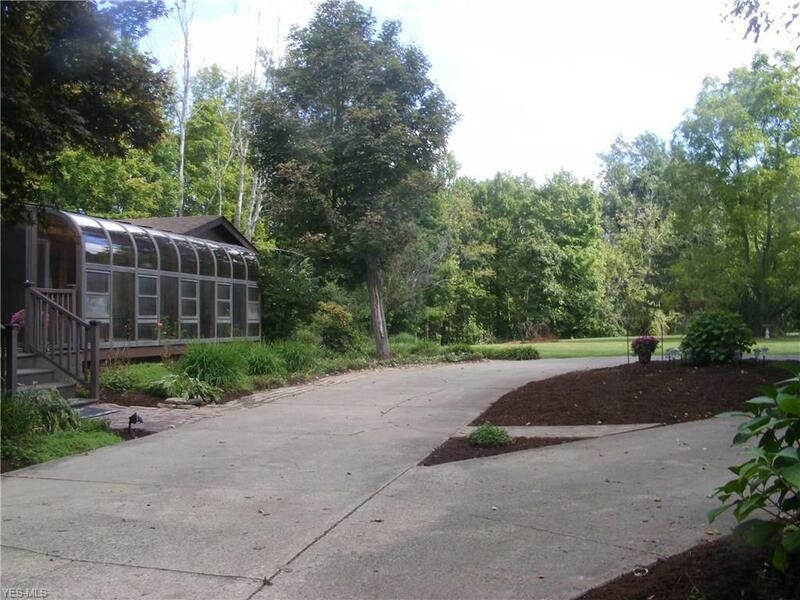 Surrounded by woods, at the top of a hill, this home features a fantastic view of its 3/4 acre stocked lake and numerous garden areas w/ tons of perennials. 1800 Sq.Ft. Living Space w/ Walkout Fully Finished Full Bsmt-Complete W/Full Bath, Efficiency Kitchen, 3 Sided Gas Fireplace. Rustic 18x30 Enclosed Porch w/gas fireplace. 14 x49 Deck. 11x24 Sun rm. Gazebo. 2 Stamped concrete patios. Pergola. 38x24 Pole Barn of which half is converted to an insulated man cave or party room. A family of deer can be seen every day this time of year. Park-like Serenity. appx 4 acres farmland. 4 New vinyl clad windows installed Dec '18.